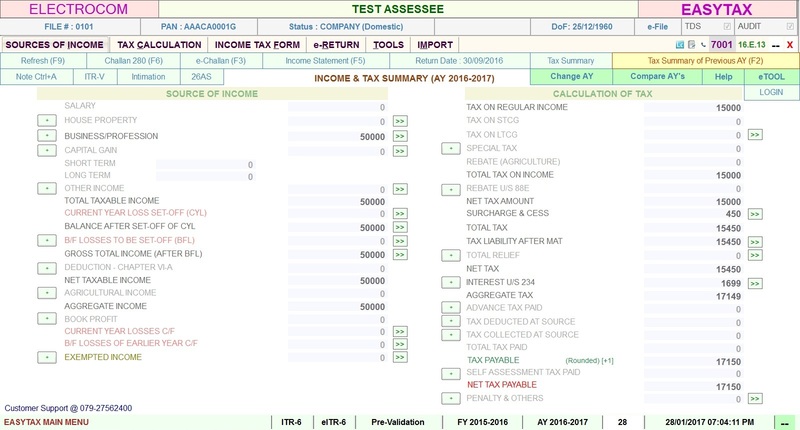 Auto generation & fill up of Return forms ITR -1, 2, 3, 4, 5, 6, 7 in both Paper & Electronic Format. Auto save of acknowledgement receipt no. Online PAN / TAN verification.